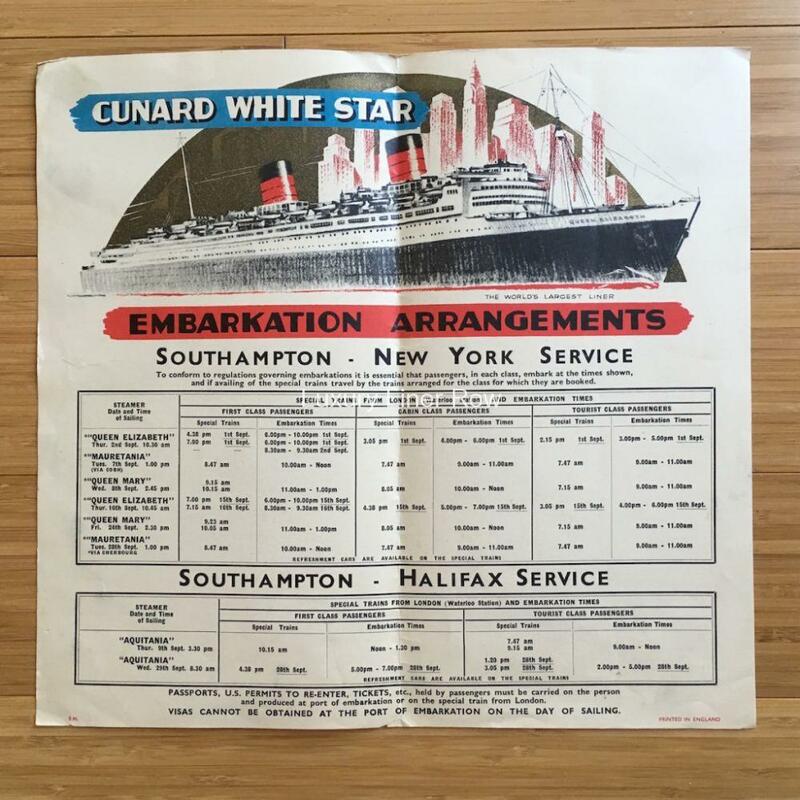 A sailing schedule flyer for New York and Halifax. 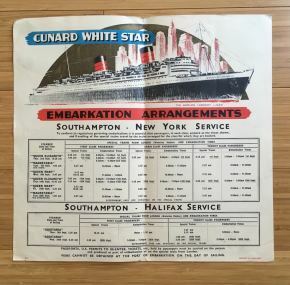 The Queen Elizabeth is given top billing, but of course, the Queen Mary and old Aquitania are also listed. It is undated, but since Aquitania finished her career in 1949, it had to date to 1947, 1948, or 1949. The only year in which September 2 was a Thursday was 1948. In fine condition and comes to us from the collection of Cunard’s New York Manager, Ron T. Johnson.